The Humane Society of the United States (HSUS) estimates that between 6 and 8 million pets enter animal shelters each year. Of these pets, HSUS believes that at least half (3 to 4 million) are euthanized or ‘put to sleep’. Spaying and neutering are surgical procedures used to remove the reproductive organs of dogs and cats. These procedures are performed by a veterinarian while the pet is under anesthesia. Pets are less likely to roam or try to escape. Roaming pets are far more likely to get into fights with other animals or experience traumatic injuries, such as being hit by a car. It helps to prevent mammary tumors in females. It prevents uterine infections (pyometra) in females – this condition can cause death in female cats and dogs. The procedure decreases the chance of prostate problems in males. Neutered male cats are less likely to mark their territory by spraying urine. 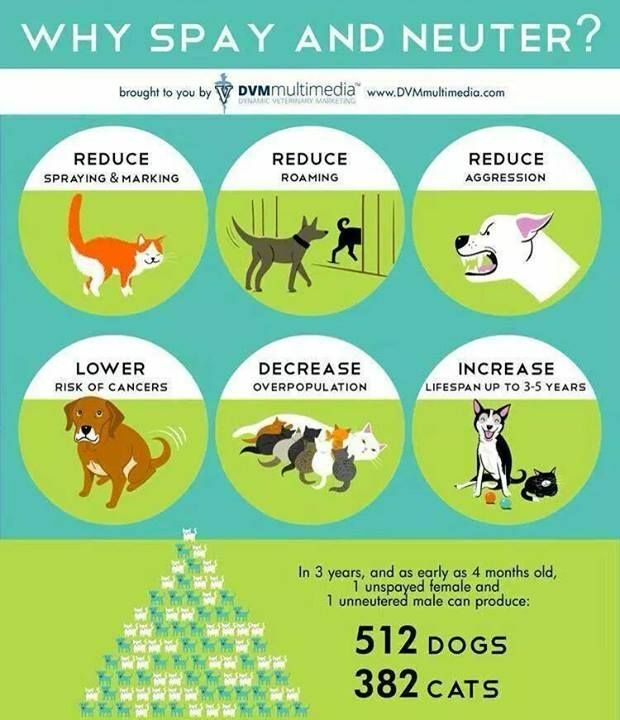 And above all, it prevents unwanted puppies and kittens (overpopulation). Any pet that is not intended for a responsible breeding program should be spayed or neutered before it reaches sexual maturity. For giant breeds, some present research data recommends waiting to perform these procedures. Please talk to one of our doctors and the procedure will be personalized for your pet’s age and lifestyle. At FM 685 Animal Hospital, we use the safest anesthetic protocols and monitor your pets closely throughout these procedures. Your pet will be thoroughly examined by a doctor and a veterinary technician prior to the procedure. The appropriate analgesia (pain management) and anesthesia will be tailored to your pet’s needs, During the procedure your pet will receive fluid therapy to help regulate heart rate and blood pressure, and will have their blood pressure, pulse, and oxygen saturation monitored at all times while under anesthesia. After the procedure, patients will recover in warm cages with a stuffed toy to keep them company, while carefully monitored by our doctors, veterinary technicians, and veterinary assistants. All pets will go home with the appropriate pain management for 4-5 days, and all dogs will have one of the ‘cones of shame’ (Elizabethan collars) to prevent self-injury. We strongly recommend doing pre-anesthetic blood work on your pet, to screen for any potential diseases and to find the baseline values for your dog or cat.